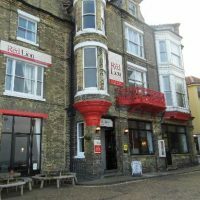 The Red Lion Hotel is situated on the beautiful North Norfolk Coast overlooking the award winning Cromer Pier and Blue Flag status Beach. The Hotel holds a 4 Star Inn status and an Dining Award from the AA. At over two hundred years old, the hotel retains many original features, including wood panelling, open log fires and Victorian flooring and many historic tales. The Hotel boasts fifteen en-suite rooms, most with amazing sea views. 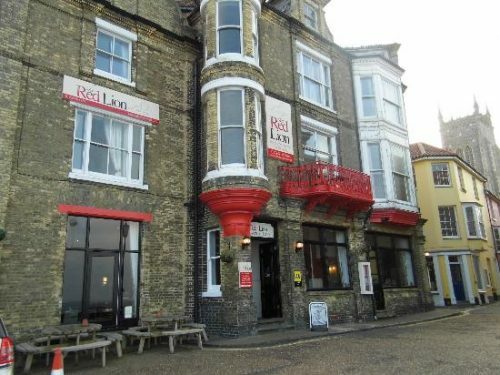 It also has a large lounge for comfort and relaxation overlooking Cromer Pier and a traditional bar with an excellent selection of local Real Ales from Norfolk and Suffolk. The Red Lion is a member of CAMRA, is in the AA Good Pub Guide and also the AA Pet Friendly Guide. The Red Lion, Cromer offers superb Norfolk Fayre sourced by our team of Chefs, including Norfolk Sausages, Venison, Cromer Crab, Morston Mussels and in fact all the Seafood the Norfolk coast has to offer. The Hotel prides itself on its level of comfort, welcome, service, delicious food and beautiful location. © 2019 Walk Cromer. All rights reserved.